Currently, I am a Science Curriculum leader and International VCE mentor at a large independent school in Melbourne, Australia. I have come to education along a winding road. A Graduate Dip.Ed via correspondence from Monash University in 2008 put me in touch with a whole new world of possibilities through children and learning. This journey has continued with my completing a Masters of Education, with a particular focus on Leadership and Organisational Change. In 2015, the pinnacle of this journey has come into focus with the beginning of a PhD in Education, supervised by Prof Alan Bain at Charles Sturt University. I am a lover of knowledge and a lover of learning. I am impressed by the possibilities of new technologies and am keen to get involved in their implementation – particularly if they are able to better engage young people with the wonders of their world. 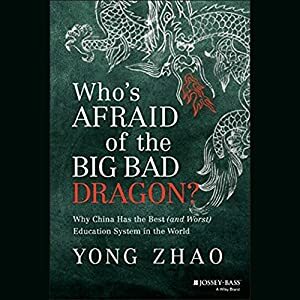 I am drawn to the unique dynamics of education in Australia, particularly as it applies to the expansion of the education sector into Asia and other global markets. My Masters studies (Masters of Education – Leadership, Policy and Change) have led me to a detailed look at the concept of followership in the classroom and, in particular, how students conceptualize followership. In recent times I am very excited to embark upon a PhD, looking to explore the role that technology can play in bridging the research to practice gap that exists in education. I am married to a beautiful and supportive woman, with two engrossing children and three less-than-impressed dogs.